I have a 40+years old Baume date watch, just serviced and still in use, and I've often wondered what happened to Baume & Co. Ltd. They were in Hatton Garden and Clerkenwell and I think in Coventry also. Do you know anything about them? 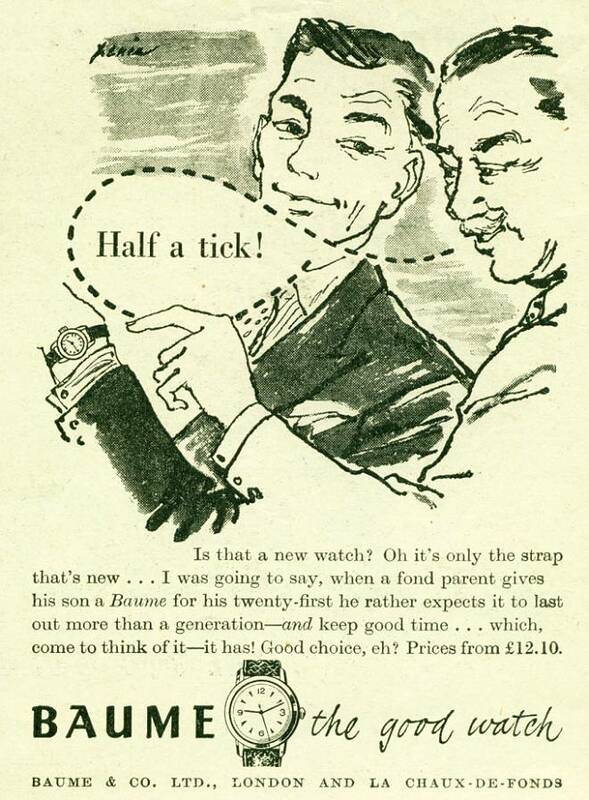 Quite pleased to find this - I have the model of the watch depicted. It's stainless steel, with an AS (A Schild) 1187 17 jewels manual wind movement.